Air France is on a roll with reshaping their brand portfolio. Recently, we’ve heard of Joon being on the chopping block. Now, it looks like HOP! is next to go. HOP! flies regional routes on behalf of Air France. Photo: HOP! HOP! is a regional arm operating on behalf of Air France. 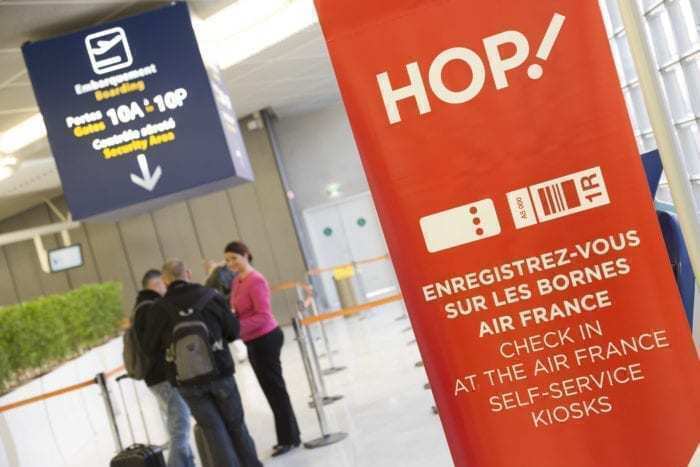 It is a bit interesting since it is intended to be one of the methods Air France employed to combat the encroachment of low cost carriers into French domestic routes. HOP! operates regional narrowbodies on behalf of Air France. The practice of contracting regional flights out of mainline carriers is common practice. British Airways has BA CityFlyer, KLM has Cityhopper, Lufthansa uses Air Dolomiti, American Airlines has American Eagle, Delta has Delta Connection, etc. etc. HOP! closely aligns with Air France. All of their planes are branded with their partnership and their airport operations are closely aligned. HOP! maintains their own branding at airports, but are closely aligned with Air France. Photo: HOP! CEO Benjamin Smith is not a fan of the subsidiaries Air France has. Joon is on its way out after some confusion about what Joon actually was (is?). However, the one good thing about Joon is that the brand name doesn’t seem like it is screaming at you. HOP! has that kind of feeling. Uniforms for HOP! crew. Photo: HOP! HOP! has a relatively large regional fleet which requires a sizable workforce to run their operations. However, France’s domestic market is not as large or as strong as those of the US to make it a success. Furthermore, unlike Air Dolomiti or KLM Cityhopper, HOP! does not necessarily work to connect passengers with Air France. HOP! turned into a regional carrier and not a feeder. One example is HOP!’s network out of Lyon. HOP! operates a base out of Lyon, but Air France doesn’t. In turn, HOP! serves as a regional carrier aligned with Air France but lacking much connection between the two entities. HOP! operates many routes of Lyon. In comparison, Air France only operates to Paris from Lyon. While there may be a market for these flights out of Lyon, HOP! cannot turn a profit for Air France while having to maintain the stringent ties they have with the airline. Much like Joon, HOP! is on its way out because HOP! lost its focus. A feeder turned regional carrier just could not work for Air France. On the other hand, partner KLM has put their Cityhopper to extensive use and created an enviable connecting and O&D route map out of Amsterdam. Ultimately, HOP! should be phased out. 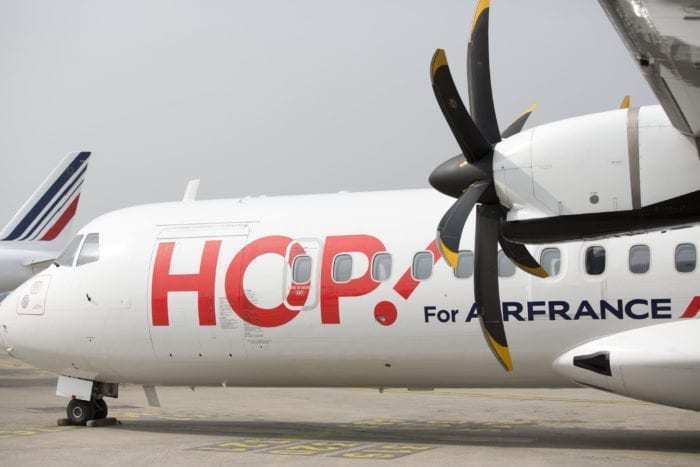 If Air France really wants to maintain a feeder airline, HOP! needs to expand their route network out of Paris and maximize connections. Furthermore, HOP! should retain their connection with Air France in the name. Delta has Delta Connection. KLM has KLM Cityhopper. British Airways has BA Cityflyer. Their liveries are also in line with their mainline operations. HOP! is just a completely separate brand that hasn’t put together an operation that worked for Air France. 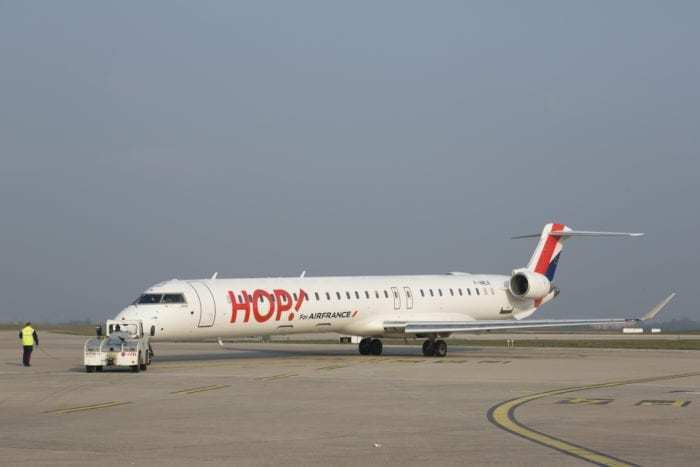 A regional jet operated by HOP! Photo: HOP! In theory, HOP! was a great idea. In reality, it proved to be a short-lived carrier that doesn’t match up with the Air France brand. CEO Benjamin Smith might be able to pull off a huge turnaround for Air France and increase their profitability. Overall, this seems like a smart business decision that will help Air France streamline their operations and improve their brand as a whole. While we await an announcement from Air France, HOP! and Joon planespotting will be in demand as we witness the end to their flying years. What do you think about HOP!? Is Air France making the right decision? Let us know in the comments below!